Leukemia Fighter! (CML); I Am Dancing and Traveling My Way Through: FDA Announces New Black Box Warning! Apparently there has been a change to the Black Box Warning for Floroquinolones. 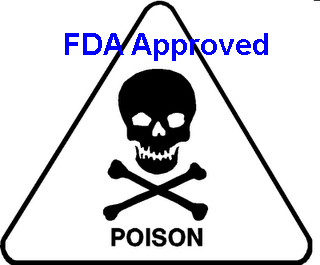 The FDA announced on August 15, 2013, that fluoroquinolone drugs such as Levaquin, Cipro and Avelox will be required to change packaging inserts to contain a warning for severe, permanent and disabling peripheral neuropathy. The FDA states that the damage may occur very soon into the administration of the drugs and the damage may be permanent. If you are wondering what peripheral neuropathy is, this is the description from the FDA: Peripheral neuropathy is a nerve disorder occurring in the arms or legs. Symptoms include pain, burning, tingling, numbness, weakness, or a change in sensation to light touch, pain or temperature, or the sense of body position. It can occur at any time during treatment with fluoroquinolones and can last for months to years after the drug is stopped, or even be permanent. Permanent: I cannot even imagine the pain that I suffered during the first two years, after being floxed, lasting forever. I swear that I would have jumped in front of the bus, if I had not begun to see a slight decrease in pain, during the first six months. This pain relief was minuscule, yet gave me hope. I am telling you that the pain was the absolute worst pain, I have ever experienced. It is not like a cut or a bruise, it is not like a broken bone or a migraine; it is like you are walking on burning glass. It is constant and never subsides; even the air hurts the affected parts of your body. I was unable to touch my feet or toes; I could not wear socks or shoes and could bear absolutely no weight, on the front part of my feet: for years. My hips, knees and Achilles felt as though they would burst at any moment. This pain is indescribable. Not only did I have pain in my legs and feet, I was unable to open my eyes in the morning, because of the light, for hours, and even then I had to keep the house dim. I couldn't remember things, I was easily confused and literally just wanted to sit in a dark corner and cry. The skin on my body hurt to the touch and wearing anything other than really, really soft material, was excruciating. This is not something I would wish on anyone! There was not a doctor, or pharmacist that had any advice on how to control the pain, or if it would ever go away. The only person that gave me any sort of advice on how to try and detoxify my body, and rebuild the damage was Dr. Leland Carroll; a chiropractor. 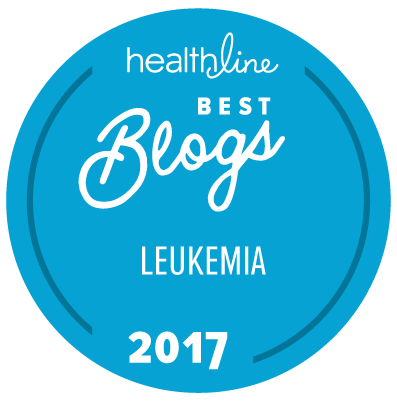 I believe that it is with his help, my persistence and a round of chemotherapy, (due to my leukemia diagnosis) that I am much improved. It absolutely floors me, that once you have suffered the toxicity of these drugs, that there is absolutely no protocol on how to stop, or reverse the damage. No one can tell you that someday, you MAY get better. I will bet you that the orthopedic surgeons that are repairing torn tendons and the Fibromyalgia doctors that are treating tons of patients with chronic, unexplained pain, are thanking these drugs; all the way to the bank. You can bet that they never even ask their patients if they have taken a floroquinolone. This is disturbing and unconscionable. 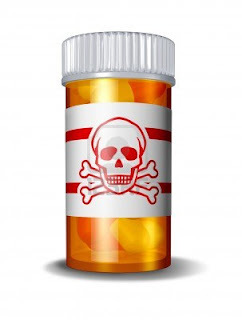 I am certain that many physicians are completely unaware of the Black Box warning placed on fluoroquinolones in 2008; and I am certain that most have never seen the outcome of those of us that have suffered these side effects. Probably the biggest reason for this, is simply the lack of correlation, to the pain and the antibiotic; not many figure out what has caused their pain, therefore, it goes unreported. Fortunately, the internet is bringing these issues to light, and hopefully our voices are being heard. We need to report these side effects to the FDA and the drug companies, and once made aware of the risks, we must refuse this class of antibiotics, unless there is no other choice. Trust me, you do not what to take the chance, that you will become the next victim. I do not believe that any doctor or dentist would knowingly prescribe an antibiotic that is so dangerous; unless they were completely unaware of the consequences, or there was no other option. I also understand that all drugs come with their own list of precautions and warnings, risks and side effects. These must be carefully weighed; and you must decide if the result, outweighs the risk. Believe you, me; if I had had a choice of diarrhea or a rash, over being crippled and in chronic, extreme pain, I would chosen the diarrhea or rash; every time. Usually, there are alternative antibiotics, but you must ask. I believe that it is the pharmacist's responsibility to inform a patient of the Black Box Warning, prior to filling the prescription; I know that this was not the case on the two prescriptions that I filled. What good is a Black Box Warning if no one knows about it? Education is key here, for physicians and pharmacists, not to mention the patient, We, as patients need to take these warnings seriously. Thanks to the internet, the dangers of Cipro, Levaquinn and Avelox are finally getting the wide spread attention they deserve.There are petitions and lawsuits, and there was even a march on the capital lawn, in Washington, bringing awareness and looking for retribution for victims. Victims are tired of being victims and they are realizing that they really are not just one in a million, but one of many. Do not fall prey to the antibiotics Cipro, Levaquinn or Avelox; it is not worth the risk. 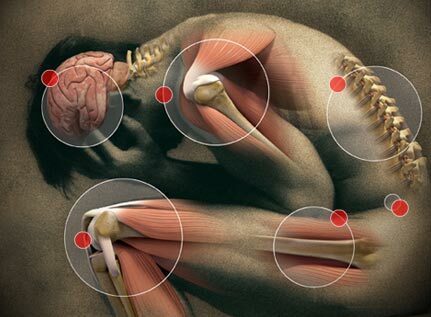 If you have suffered peripheral neuropathy you may wish to contact the Floroquinolone Victims Advocacy Network. New class action suits are being prepared.